One of the most anticipated shows of the year hits this weekend as NARBC Tinley Park is finally here. After doubling in size last year, NARBC solidified its position as one of the must attend shows. 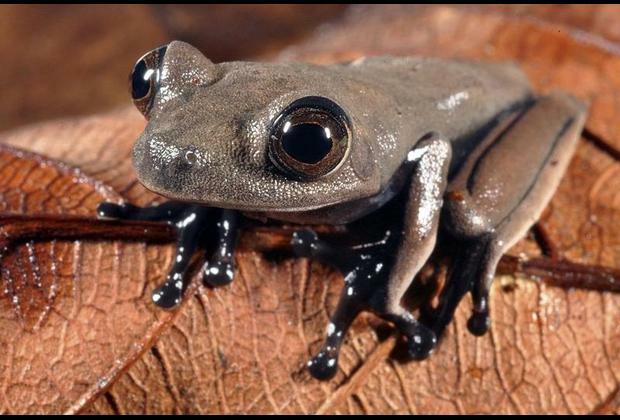 Be sure to thank Bob and Sheri Ashley and Brian Potter for supporting USARK and the entire herp community. Thank you NARBC for your continued support!Be sure to hit the USARK booth for plenty of USARK threads, including new logo men's and women's shirts, women's tank tops and trucker hats. There may or may not be a Rhino iguana modeling at NARBC, as in the photo below from the Sacramento Reptile Show. We will also have a raffle both days for a complete 20 gallon ReptiHabitat from Zoo Med. 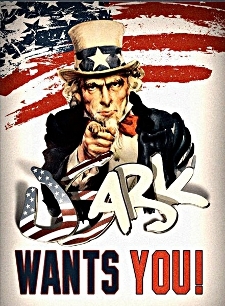 USARK could use a few more volunteers for NARBC (details below). There will be an auction Saturday night to benefit USARK/PIJAC, as well as a special segment for Rico Walder from Signal Herp (details below). This auction has become the most discussed auction of the year and if you miss it, you will miss one of the main draws of this show. We'll see you there! Get all the show information at http://narbc.com/Tinley/tinley_park.html. USARK needs 2-4 more volunteers at NARBC Tinley Park to collect auction items for 2 hours Saturday afternoon. We also need 2-3 volunteers to sell raffle tickets for 2 hours Sunday afternoon and a few volunteers to help in our booth. All volunteers will get perks including a free USARK shirt. Please reply to this email or send email to info@USARK.org if you can help. Thank you! 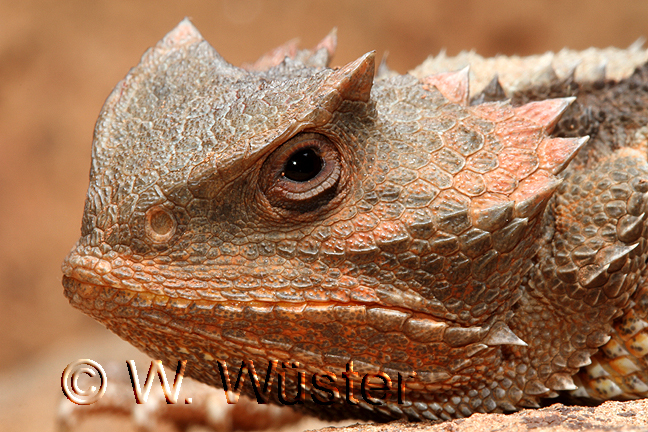 USARK also needs volunteers to help at the upcoming reptile show on November 2-3 in Tracy, CA . Show details can be found at http://www.shedskin.net/Shedskin.net/Welcome.html. This show requires 1-2 volunteers each day to answer USARK-related questions and manage the booth. Please reply to this email or send email to info@USARK.org if you can help. Thank you! Action Alert: Cat Ex: Deadline Oct. 15: This alert addresses the USFWS proposal to list any species as injurious without full due process (i.e. no scientific support, no research, no economic impact study, etc.). Interstate commerce, interstate transport and importation are all illegal for any species listed as injurious. This categorical exclusion affects a huge portion of the pet community as any species could be listed (ALL reptiles, amphibians, fish, birds, mammals and invertebrates). Any species listed would vanish from the pet community. There are four simple steps at the link below. Complete them all, share the alert and protect your herp community. http://usark.org/action-alert/usfws-categorical-exclusion-2/. View information about the Cat Ex hearing that was held in September at this link http://usark.org/uncategorized/catex-update-and-usark-in-d-c-92413/. 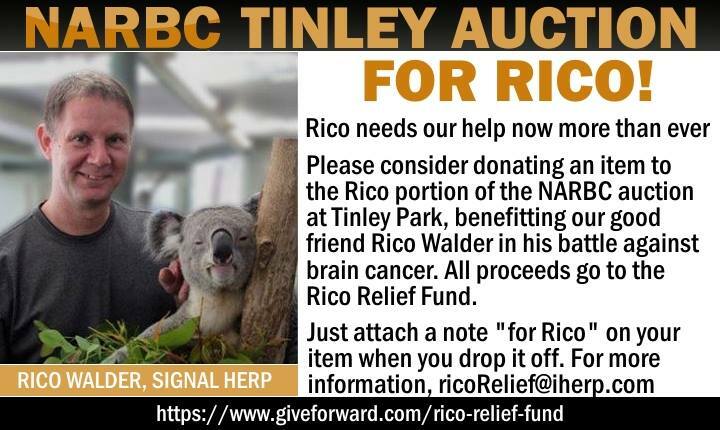 NARBC: North American Reptile Breeders Conference will be accepting donations for the Rico Relief Effort in his fight against brain cancer! Please consider donating something for auction. Contact RicoRelief@iHerp.com for more details. Planning continues for the 2013 National Reptile & Amphibian Law Symposium & Workshop November 8-10 in Washington, D.C., despite the shutdown of the federal government that begins today. Just as it is unclear when the impasse will be resolved by lawmakers, it is unclear yet what impact this will ultimately have on this year's law conference. As at last year's event, many of the confirmed speakers and panelists for the 2013 event are representatives of federal agencies, many had yet to confirm, and all will be impacted by the shutdown in some way. The US Fish & Wildlife Service has indicated that they will be unable to discuss, plan for, confirm, or send representatives to the event until the shutdown has ended, as all non-exempt employees of the service will be on hiatus. Other federal agencies scheduled to participate have responded with similar statements. If lawmakers resolve the impasse in the next two or three weeks, the conference should be relatively unaffected and will go on as planned. Should the federal shutdown extend further, it is likely that few, if any, federal agencies will be able to participate, making it difficult if not impossible for the 2013 event to proceed as scheduled. With only 40 days left until the conference, Washington lawmakers still have time to resolve their differences and put the government back in business. The co-hosting organizations of the event, NRAAC, PIJAC, USARK, AZA, ARAV, and the George Washington School of Law will all be monitoring the situation and will provide further information and updates as the situation develops. If you are planning on attending this year's event, please check the NRAAC site frequently for the latest updates. 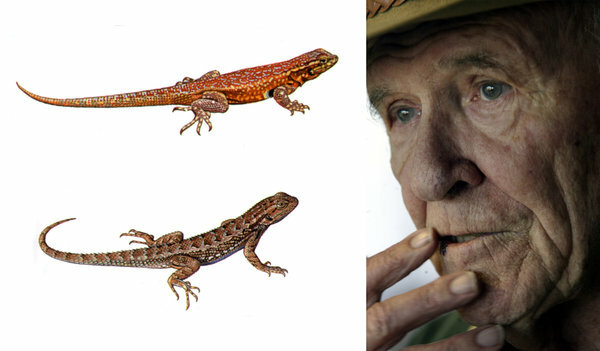 For more information on the 2013 National Reptile & Amphibian Law Symposium & Workshop November 8-10 in Washington, D.C., or to register for this free event, please visit our website at http://nraac.org.